602 North 6th Street St Charles, MO. 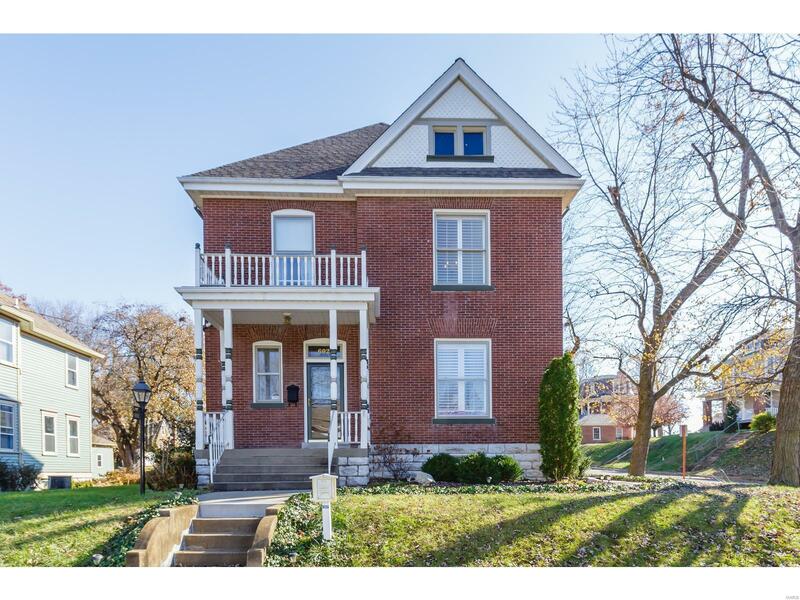 | MLS# 19025689 | Homes for Sale in St Charles, St Louis, Lincoln and Warren Counties! Looking for a Free Foreclosure List? Call Cheri Peterson 314-283-7251 Our Team is on the Leading Edge when it comes to Technology! Possible Bed & Breakfast Potential or Air B&B-Stunning Turn of the Century VICTORIAN QUEEN ANNE 2Sty w/2 EnSuites. Stately Brick Exterior w/2 Covered Porches & Balcony off UL Bedroom;Original Ornate-Carved Staircase; Rear Staircase. Restored Historic Lincrusta Embossed Wall Covering; Beautiful Stained Glass Window; 10’ Ceilings; Pocket Doors; Transoms; Plantation Shutters;Gleaming Hardwood Floors; Updated Gourmet Kitchen w/White Staggered Cabinets, Butcher Block Countertops, Stainless Steel Appliances,5-Burner Gas Stove w/Custom Hood, Subway Tile Backsplash; Updated Master Bath w/Tiled Floor; A/C & Forced Air Gas Furnace for Addition (2003); 95% Peerless Water Boiler; 95% Eff HWH (2014);Converted 2-Car Carport to Garage w/Newer Doors & Electric, plus Orig Horse Stable used for Workshop/Storage; Spacious parking Area, potential for Spacious 3rd Floor Attic could be converted to Add’l Living Space. Bonus Rm off the Kitchen & Covered Back Porch.Ready for the most Discriminating Buyer!You!